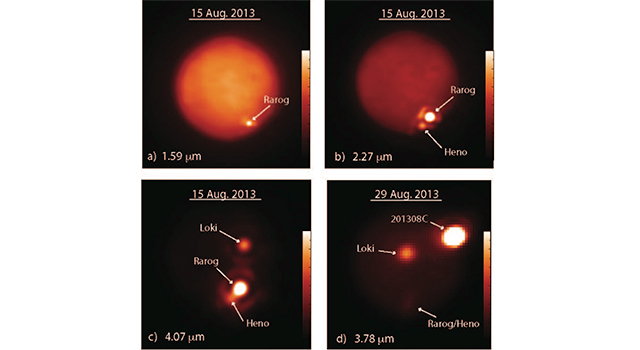 Three massive volcanic eruptions occurred on Jupiter's moon Io within a two-week period in August of last year. This led astronomers to speculate that such "outbursts," which can send material hundreds of miles above the surface, might be much more common than they thought. Io, the innermost of Jupiter's four large "Galilean" moons, is about 2,300 miles across (3,630 kilometers). Aside from Earth, it is the only known place in the solar system with volcanoes erupting extremely hot lava like that on Earth. Because of Io's low gravity, large eruptions produce an umbrella of debris that rises high into space. De Pater's long-time colleague and coauthor Ashley Davies, a volcanologist with NASA's Jet Propulsion Laboratory in Pasadena, California, said that the recent eruptions match past events that spewed tens of cubic miles of lava over hundreds of square miles in a short period of time. "These new events are in a relatively rare class of eruptions on Io because of their size and astonishingly high thermal emission," Davies said. "The amount of energy being emitted by these eruptions implies lava fountains gushing out of fissures at a very large volume per second, forming lava flows that quickly spread over the surface of Io." All three events, including the largest, most powerful eruption of the trio on Aug. 29, 2013, were likely characterized by "curtains of fire" as lava blasted out of fissures perhaps several miles long. The papers, one with lead author Katherine de Kleer, a UC Berkeley graduate student, and coauthored by UC Berkeley research astronomer Máté Ádámkovics, and the other coauthored by Ádámkovics and David R. Ciardi of the NASA Exoplanet Science Institute/California Institute of Technology, Pasadena, have been accepted for publication in the journal Icarus. Ciardi is an astronomer who studies exoplanets, but while imaging at the W. M. Keck Observatory in Hawaii, he took infrared imaging for de Pater that was involved in this research. "I saw this as a nice opportunity to more closely connect one end of solar system formation/evolution to another," he said. "Understanding our solar system will help understand all the other systems we are finding and vice versa." 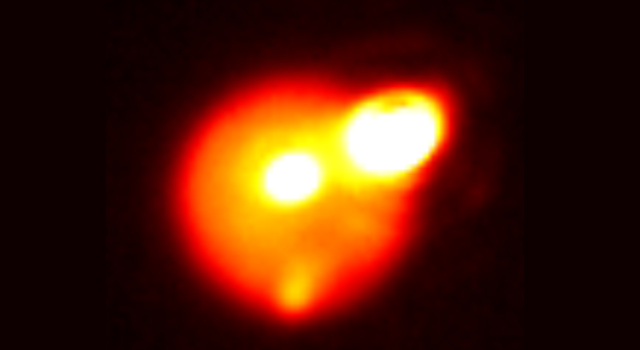 De Pater discovered the first two massive eruptions on Aug. 15, 2013, in Io's southern hemisphere, using the near-infrared camera (NIRC2) coupled to the adaptive optics system on the Keck II telescope, one of two 10-meter telescopes operated by the Keck Observatory. The brightest, at a caldera named Rarog Patera, was calculated to have produced a 50-square-mile (130-square-kilometer), 30-foot-thick (10-meter) lava flow. The other eruption, close to another caldera called Heno Patera, produced flows covering 120 square miles (310 square kilometers). De Pater discovered a third and even brighter eruption - one of the brightest ever seen on Io - on Aug. 29, using both the Near-Infrared Imager with adaptive optics on the Gemini North telescope on Mauna Kea, and the SpeX near-infrared spectrometer on NASA's nearby Infrared Telescope Facility (IRTF). De Kleer used the fortuitous detection of this outburst simultaneously at Gemini and the IRTF to show that the eruption temperature is likely much higher than typical eruption temperatures on Earth today, "indicative of a composition of the magma that on Earth only occurred in our planet's formative years," she said. Davies has developed models to predict the volume of magma erupted based on spectroscopic observations. 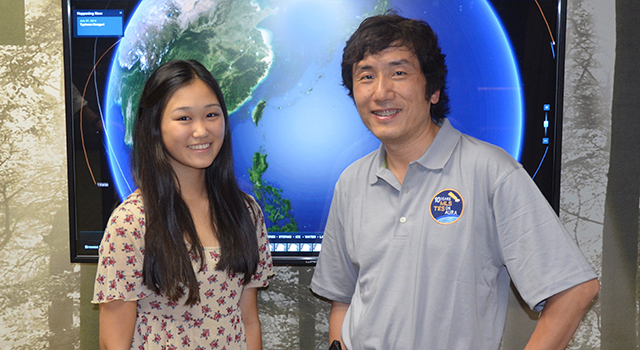 "This will help us understand the processes that helped shape the surfaces of all the terrestrial planets, including Earth, and the moon." Volcanoes were first discovered on Io in 1979, and subsequent studies by NASA's Galileo spacecraft, which first flew by Io in 1996, and ground-based telescopes show that eruptions and lava fountains occur constantly, creating rivers and lakes of lava. Only 13 large eruptions were observed between 1978 and 2006, in part because only a handful of astronomers, de Pater among them, regularly scan the moon. In a third paper accepted by Icarus, de Pater, Davies and their colleagues summarize a decade of Io observations with the Keck II and Gemini telescopes. 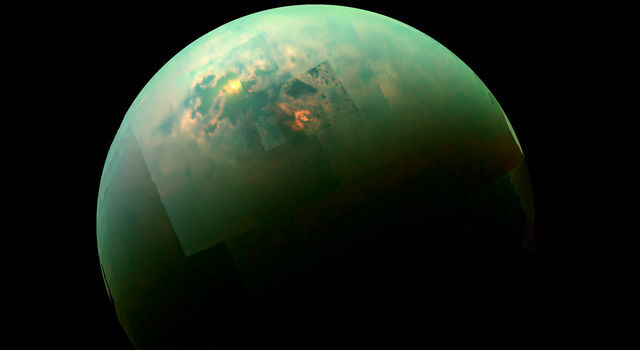 Their map of the surface of Io pinpointed more than two dozen hot spots whose spatial distribution changed significantly between 2001 and 2010. The team hopes that monitoring Io's surface annually will reveal the style of volcanic eruptions there, constrain the magma composition, and accurately map the spatial distribution of the heat flow and potential variations over time. This information is essential to better understand the physical processes involved in the heating and cooling processes on Io, de Pater said. The work is funded by the National Science Foundation and NASA's Outer Planets Research and Planetary Geology and Geophysics Programs. 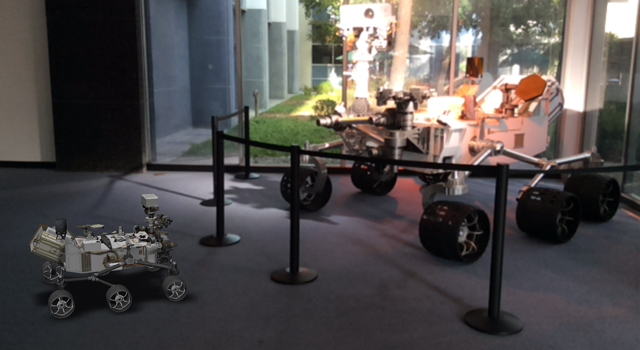 JPL is managed for NASA by the California Institute of Technology. 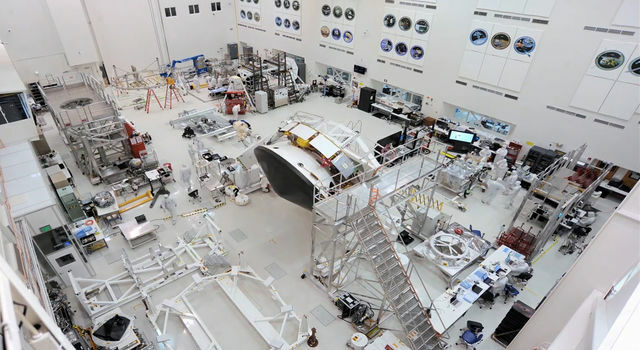 JPL managed the Galileo mission for NASA.